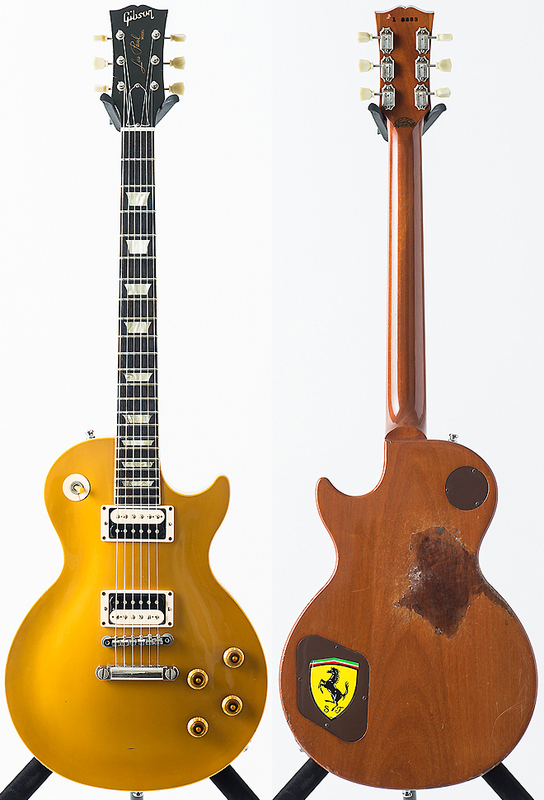 An extremely valuable 1959 Gibson Les Paul Standard first acquired by Tak prior to recording for The 7th Blues in 1994. 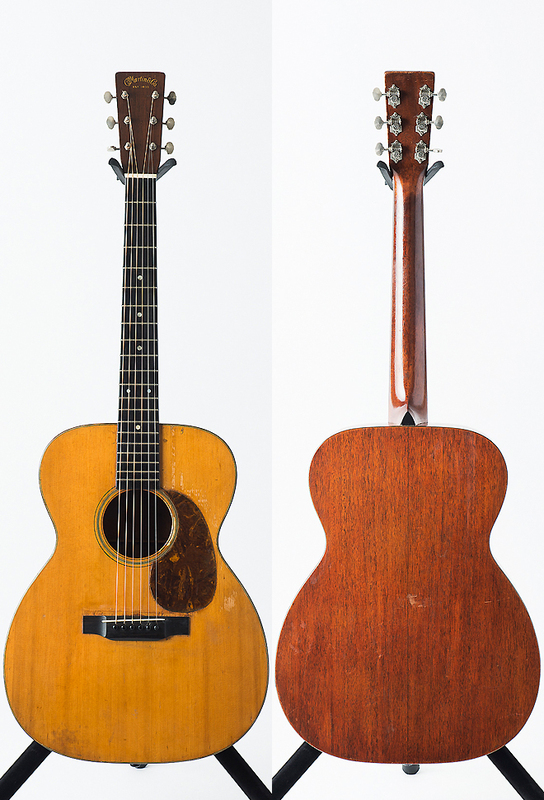 Due to its value and rarity, the guitar is not utilized live but has been used in the studio over the years. While the above replica is as close to the original as can be expected, the instrument pictured here has a “dry” character to its sound due to the age of the wood according to Tak’s guitar technician. 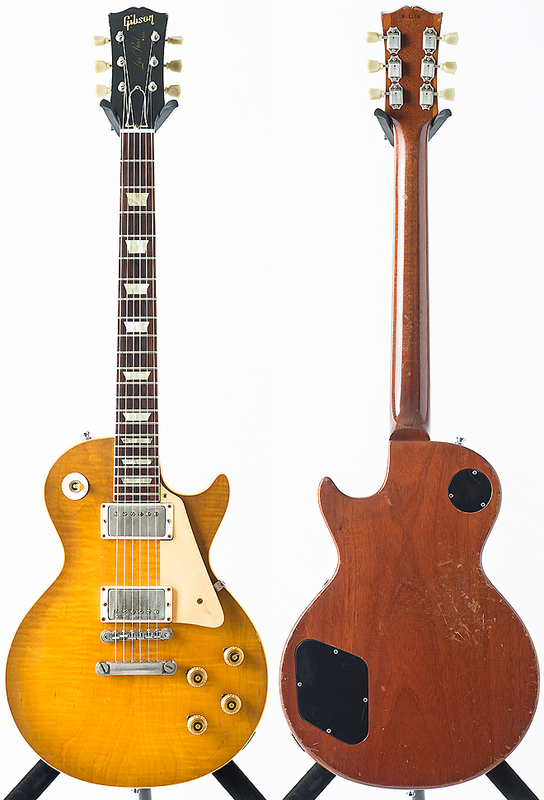 A true 1957 Gibson Les Paul Standard once owned by Andy Summers, guitarist of The Police. Tak acquired the guitar in 2002 and first used it on his solo album House Of Strings in 2004. 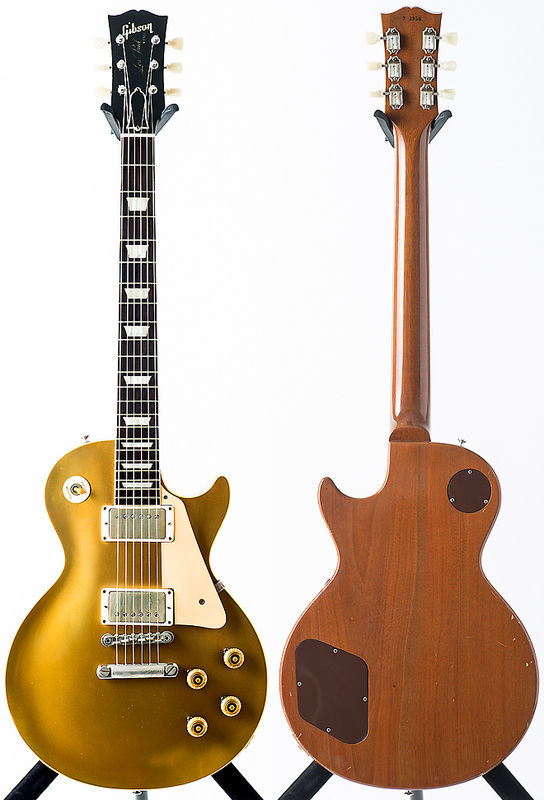 A reproduction of a Gibson 1957 Les Paul Standard released in 1991. 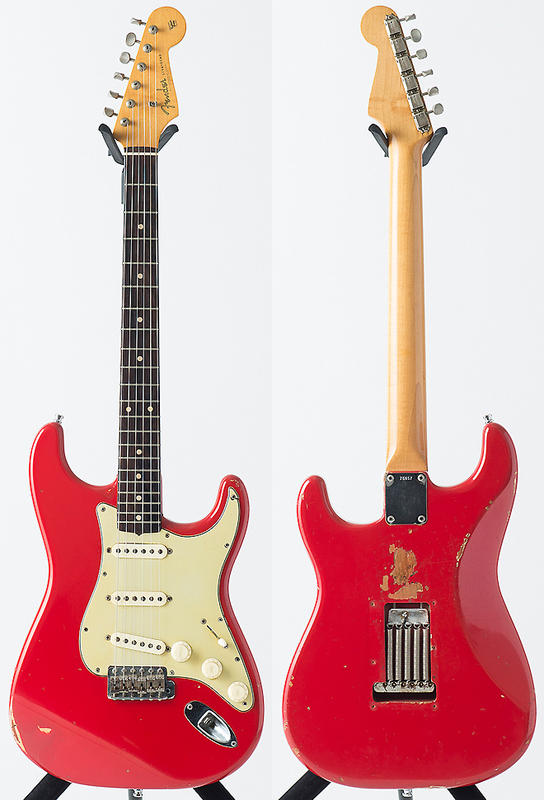 The guitar is all original apart from the removed pickup covers that reveal the zebra-styled humbuckers beneath. The guitar was utilized during both B’z LIVE-GYM Pleasure 2008 -GLORY DAYS- and B’z LIVE-GYM 2015 -EPIC NIGHT-. Those familiar with the Gibson line of guitars may wonder why this guitar bears a “Les Paul” truss rod cover and is titled a 1961 model “Les Paul Standard” given it clearly has the body of an “SG”. In 1960, with sales of the flagship body design waning, Gibson introduced an alternate body style that would later be dubbed the “SG”. However, upon its initial release in 1961, this guitar was only an alternate Les Paul Standard. The guitar was first used live for B’z LIVE-GYM 2015 -EPIC NIGHT- but was used in the studio for Tak’s solo album enigma and 2017 follow-up Electric Island, Acoustic Sea with Hawaiian multi-instrumentalist Daniel Ho. 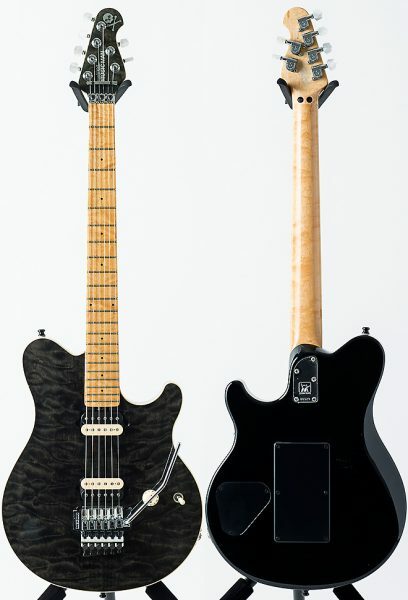 One of Tak’s favored guitars in recent years which first appeared during B’z LIVE-GYM 2015 -EPIC NIGHT-, it has emerged as a go-to in the studio and on the live stage. Not only does Tak utilize it in the various photoshoots for the album cover and associated art, it was also wielded later in the title song’s music video as well. 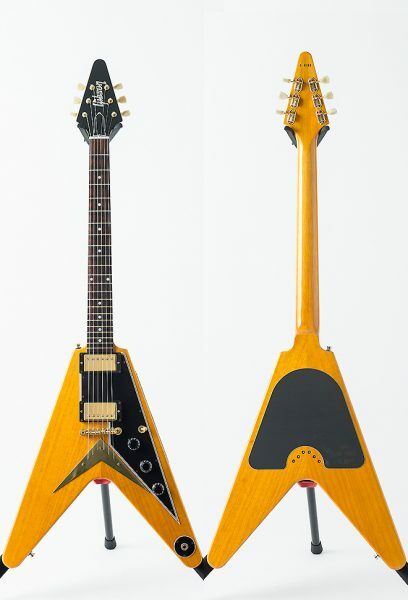 The korina-wood guitar is one of only 100 made in 2008 for the fiftieth anniversary of the original Flying V’s release. The only of Tak’s signature Gibson guitars other than the 1959 replica used in the sessions. 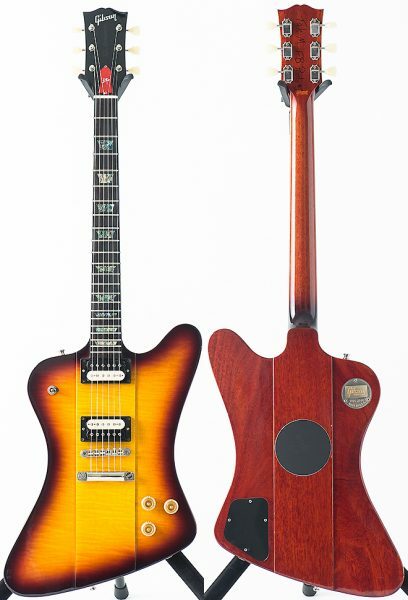 While the body is that of the celebrated Firebird style, the headstock is borrowed from the usual Les Paul models. 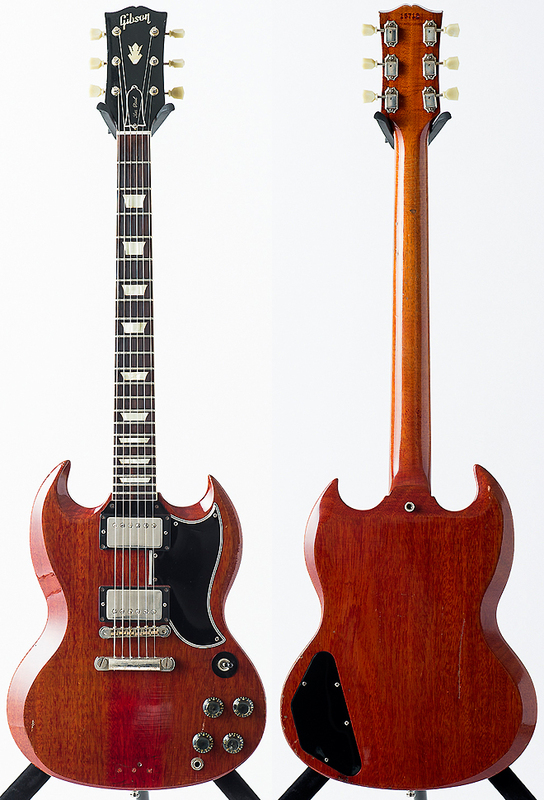 A later prototype was given a mass market release in Japan in Gibson Custom Shop form in the above color as well as Trans Black. 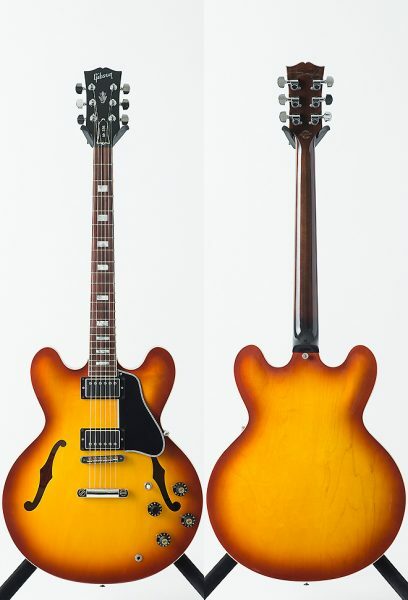 A Gibson ES-335 gifted to Tak by legendary American jazz virtuoso Larry Carlton, with whom he collaborated on the Grammy Award-winning TAKE YOUR PICK in 2010. The guitar is a “Mr. 335” Signature Model named for Carlton’s reputation as a loyal 335 player. 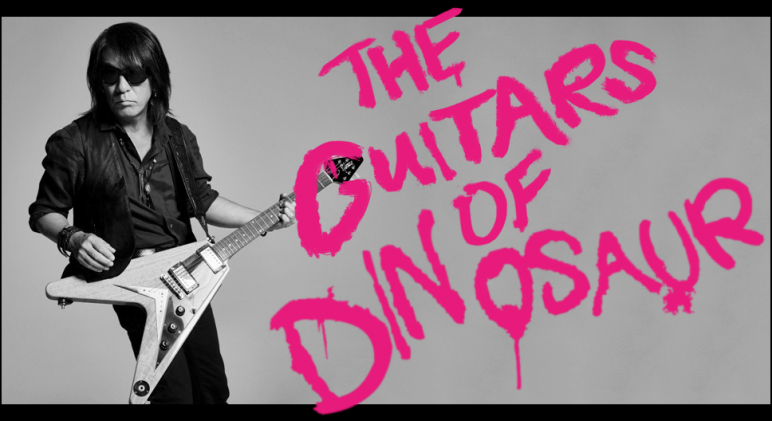 A guitar that is no stranger to Tak fans, this is the original and titular “#1090” after which his 1992 solo single “#1090 ~Thousand Dreams~” draws its name. The guitar is a rare one with a black and brown sunburst body and a one-piece maple neck that delivers sharp, delicate tones with its single coils pickups. This guitar was also acquired around the same time as the Fiesta Red Stratocaster above, just prior to the sessions for LOOSE. 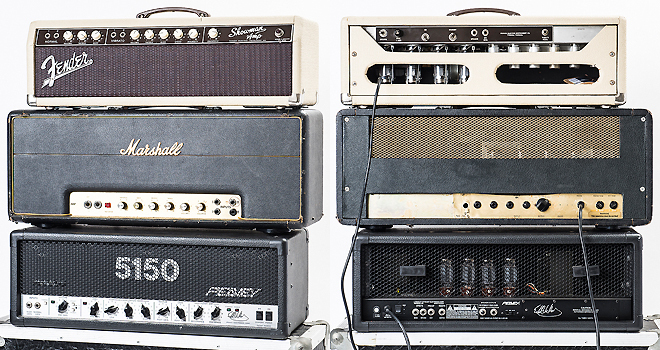 Tak said in an interview at the time that its “ridiculous tone can only be heard from this guitar”. 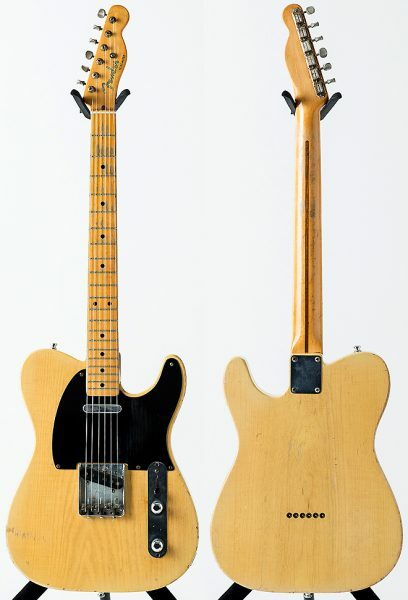 One of many guitars of the same sort owned and utilized by Tak throughout the mid-1990s. Specifically, this guitar was one of his primary instruments during B’z LIVE-GYM Pleasure’97 “FIREBALL”. The guitar is akin to the Eddie Van Halen “EVH” signature released previously. It was only after Van Halen and Music Man parted ways that it was renamed “AXIS”. The pickup selector was moved as one of the primary changes alongside the renaming. As a guitar that is now 80 years old, Tak only uses it in the studio and never outside. 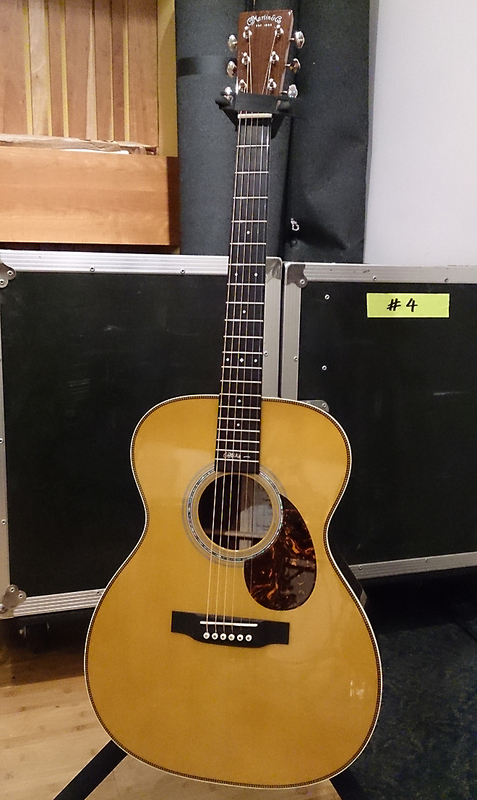 It has remained his favorite acoustic since its use on LOOSE. 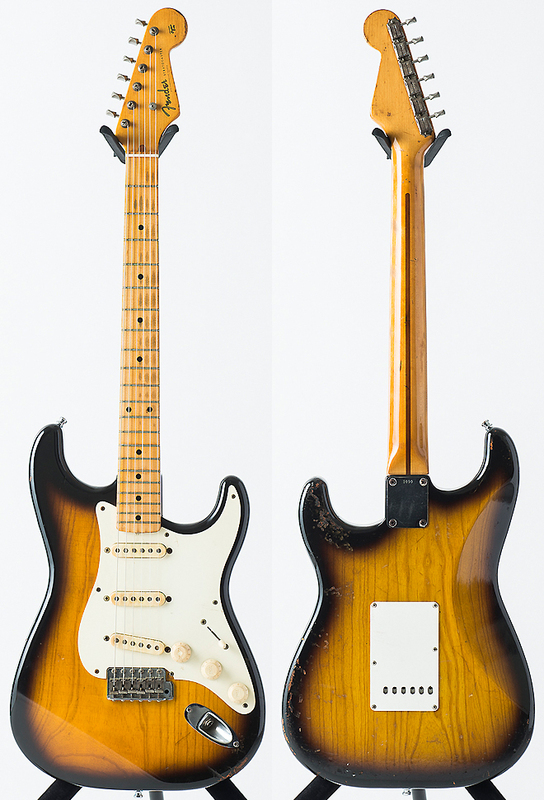 The spruce body is complimented by a rosewood fretboard. 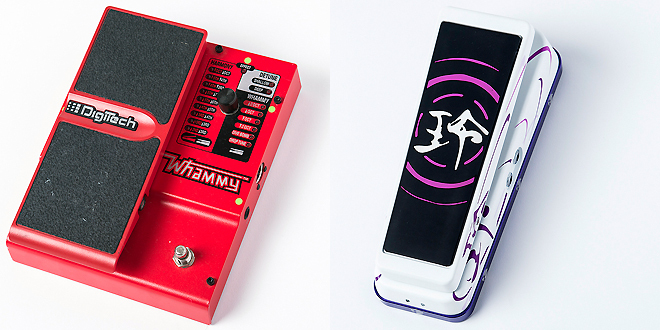 First used by Tak on his solo album enigma and was purchased by him due to its smaller form factor that he found especially comfortable to play. Note: The “FAT” brand is a boutique offering that is not consumer-based. The brand is owned by Being, the corporate entity that oversees B’z releases and their personal record label Vermillion Records. 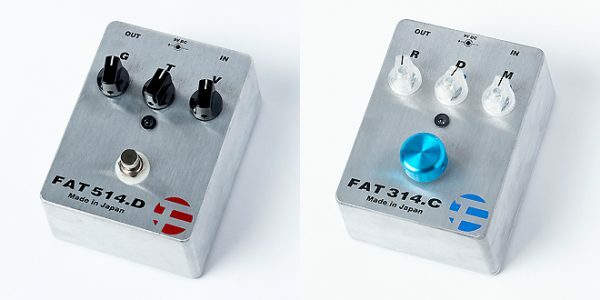 FAT in particular was established by Hatakeyama “hakkai” Katsunori, Tak’s original and foremost guitar technician earlier in his career who remains his tone guru. 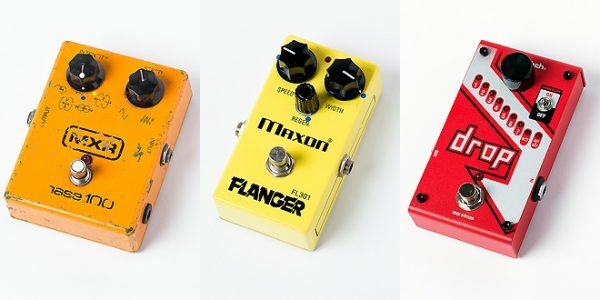 Those wanting to acquire the pedals or amplifiers will either come up short or fork over a great deal of yen, with prices having at least tripled in recent years for the few consumer models that were released.